• Bruce Wayne’s murdered father, Dr. Thomas Wayne, was actually the first Batman. He created a Batman costume to wear to a party when Bruce was a child. Bruce realized many years later that this vision of his father dressed as a “Bat-Man” subconsciously influenced him in the creation of his own name and guise. • Bruce Wayne was engaged to Julie Madison (1939) and Linda Page (1941) before World War II. • Alfred Pennyworth was a member of the OSS in World War II (which was the forerunner to the CIA), operating in occupied France. When first introduced in the comic books, he was quite rotund, a far cry from the slimmed-down version most fans recognize. And originally, his last name was Beagle, mystically changed to Pennyworth later on. Uslan is the man credited with the vision of bringing Batman to life in a realistic movie portrayal and originating the dark and serious Batman movie franchise. Its success was ensured by the genius of Christopher Nolan, Tim Burton and Anton Furst, whom Uslan says deserve all the accolades and credit. 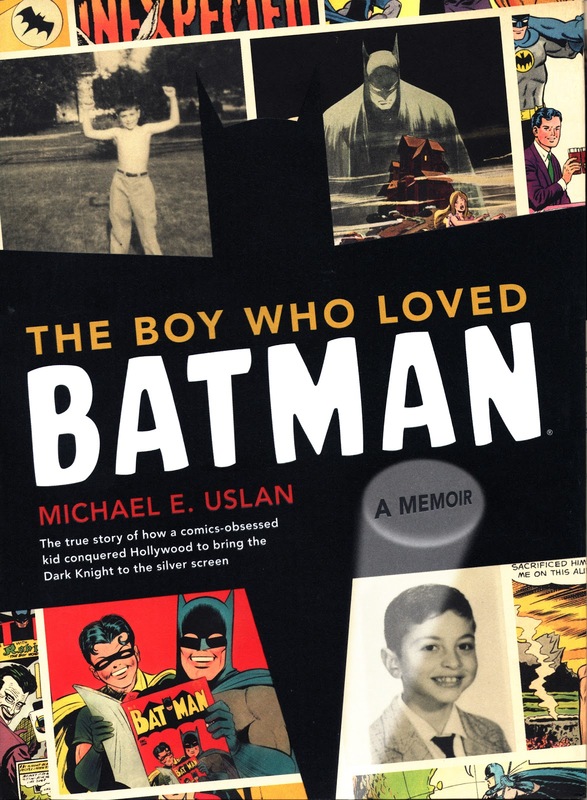 Dark and serious Batman movies portraying The Batman as a creature of the night, as he was created in 1939 by Bob Kane with Bill Finger, has been Uslan’s mission since childhood, a story that unfolds in THE BOY WHO LOVED BATMAN. 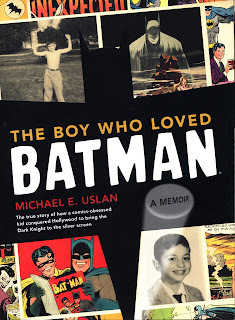 Michael Uslan, (www.theuslancompany.com), is the executive producer, along with his partner Benjamin Melniker, of the Batman franchise of motion pictures. In his 36 years in the film and television industry, he has been involved with such projects as “National Treasure,” “Constantine,” and countless animated projects. His projects have won Oscars, Golden Globes and Emmy Awards. He recently formed a motion picture development and production consulting company called The Uslan Company, LLC.